With the advancement of technologies, e-books are largely increased in the number of printed books since they are available on the internet and the internet is pretty much everywhere nowadays. Even though if you ask a reader what they find better you’re probably going to get the answer the sensation of holding a book and physically having something to read with that paper print is what all readers like. These days all payments are mostly paid by debit or credit cards online either you buy something electronic or something such as which has to be delivered to your house. Same goes for the printed books even when you pay for them online they take time to get delivered to your house. Whereas in the case of e-books the moment you pay for them you have access to the book right away some are even available for free. If you need to access information instantly e-books are a far better option than printed books. The information these days is getting updated almost every day on specific subjects while printed books cannot stay up to date it is only updated to the point when it was printed. While the e-books are updated to the present point and some of which you even get free updates if the book is amended or something. E-books usually get you some extra information along with them you don’t get this in printed books. E-books might cost more or even to the printed books but they get you more. Whereas the printed books take up a lot of space and some people end up making whole libraries inside the house but now if you buy e-books instead you can simply just get a hard drive maybe, plus e-books don’t even take too much virtual space. E-books are more easily portable compared to printed books. We carry our cell phones everywhere. 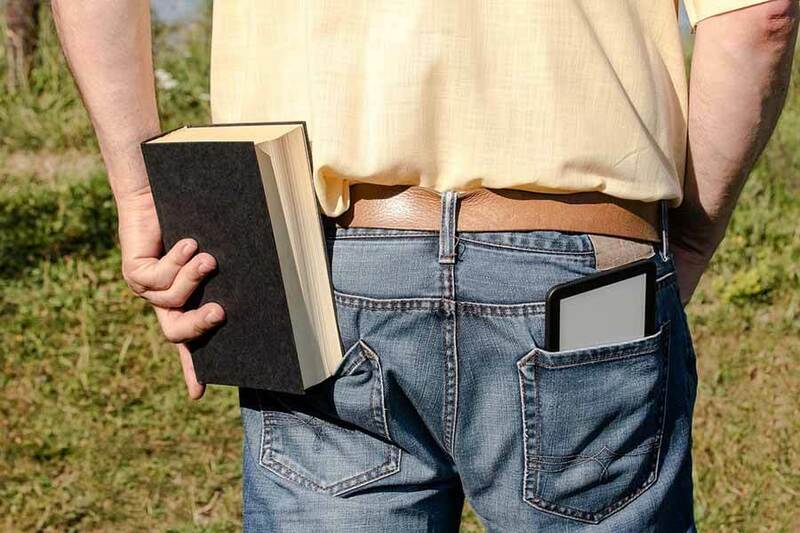 E-books can be stored in the cell phones so they can be carried around easily. Whereas printed books you have to carry around they take up space other than your cell phone. Many writers and companies will allow you to use their name and publish or sell with your name on the book covers. It’s all dependants on what the writer allows and what not. E-books are not restricted to physical search. You can simply go search the whole book for any specific information without having to spend a lot of time. While your printed books use up pages which are made by cutting trees harming the environment. E-books don’t need that they can be stored in virtually without having to consume trees to print out on typical pages. If you’re interested in switching over to e-books and want to try them out visit Amazon.com to buy books and may even get one for free.